The Dallas-based Ambit Energy uses independent contractors and direct sales techniques to sell retail electricity supply. Ambit recognizes star consultants with a series of colored blazers. After logging $1 million in earnings, consultants get a yellow blazer. A Bangor Daily News investigation found that competitive electricity providers cost customers about $20 million they did not need to spend on power from 2013 to 2014. The amount siphoned from Maine ratepayers looks like it will increase in 2015, too. How are these companies getting customers to sign up? So far, they’ve relied on a variety of marketing tactics — television, radio, newspaper ads, online sales pitches and even teaming up with internet service providers such as FairPoint. But one has developed another strategy: Turning customers into its sales staff. The company’s regulatory filings and marketing materials demonstrate one of the newer innovations in electricity marketing for Maine. Its direct sales strategy, however, is familiar to anyone who’s ever bought products from Avon, Pampered Chef or Mary Kay. “What if I told you there’s a way you could make money every time people turn on the lights or turn on the heat?” the spokesman states in the company’s promotional video. 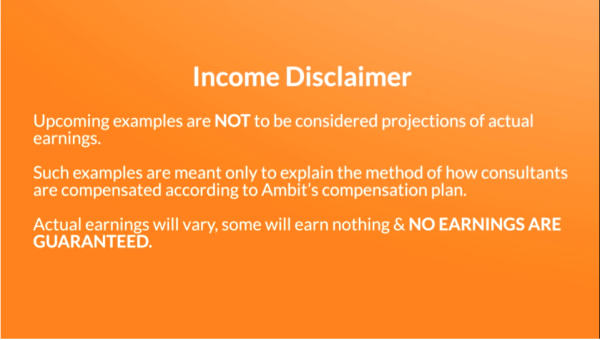 Ambit encourages customers to make referrals to family or friends, giving that referring customer a discount based on how much electricity their connections use. 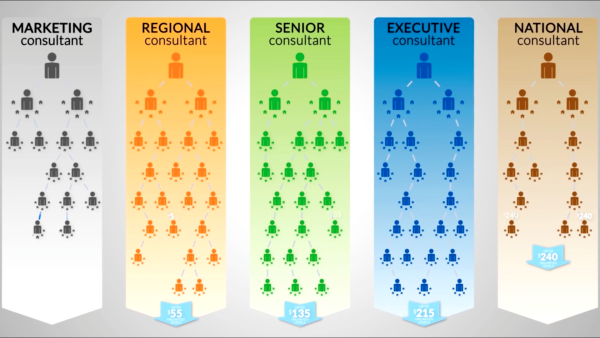 From there, marketing consultants can earn money entirely through commissions on the electricity use of enrolled customers and ascending tiers of consultancy, which come with higher payouts. One selected consultant each year receives the company’s unimaginatively-named Crystal Sphere Award. Twice per year, a group of higher-level consultants is taken on a trip to a five-star resort. The extent of Ambit’s sales network in Maine remains unclear. Ambit disclosed that information last year under a regulatory inquiry, but it redacted it from its public filings. The company did not respond to an emailed request for comment. It also is unclear how much its network of consultants affects its bottom line, both through revenue generated from sign-up costs and monthly fees and in savings from not having full-time sales staff that would qualify for benefits. Ambit began operating in Maine in February 2015 and by year’s end had sold about 28,000 megawatt-hours of electricity. That’s a small part of the total market for competitive electricity, equalling about 3 percent of sales reported by the state’s largest competitive supplier, Electricity Maine. Preliminary figures show the company had the lowest average electricity rates in Maine in 2015 compared with other competitive suppliers, based on reports to the U.S. Energy Information Administration. An analysis in Connecticut listed Ambit as one of nine companies in 2015 that saved customers money, in aggregate, when compared with the standard offer price. But the company’s billing practices have come under scrutiny in other states, where at least three proposed class action lawsuits take issue with the “budget billing” program that it also offers in Maine. The system bills customers based on an average of their historical usage for the past year and their current electricity rate, according to Ambit’s website and one lawsuit filed in federal court in New York. The lawsuit alleges that when monthly use exceeds that average rate, customers carry a “hidden” balance that then prompts an additional “settlement fee” from the company. The company has argued that the dispute should not be handled in federal court but before New York regulators, who have shown some of the strongest interest in restricting the direct sale of electricity to residential customers. Ambit caught the attention of Maine regulators one year ago, after allegations that one consultant was signing up customers without the proper consent. Ambit said it showed that consultant the door.